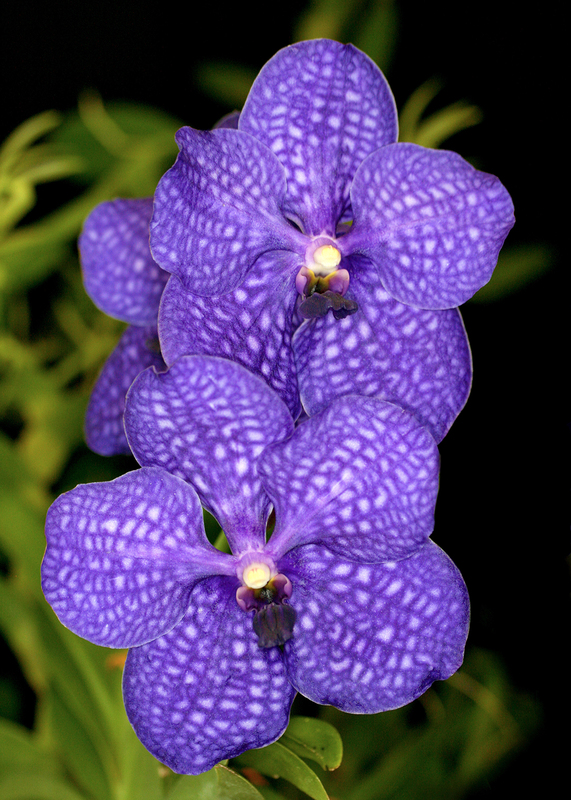 We learned about some of the more unusual orchids featured in the Orchid Show (purchase tickets here) when we toured with Boyce Tankersley, director of living plant documentation. Boyce told us we have 183 taxa of orchids in our plant collections and 53 of those are straight species found in the wild. Of course, none of our orchids are wild-collected because that does damage to the species, so the orchids we acquire are propagated through tissue culture. 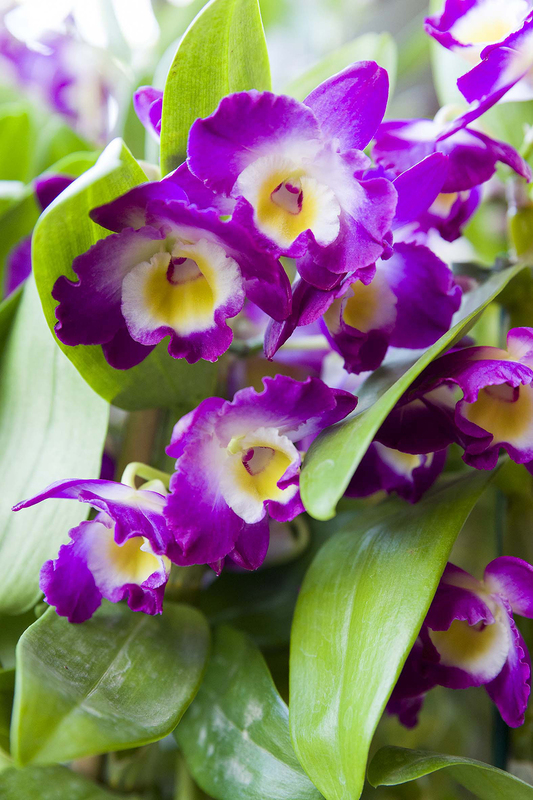 We display the orchids that do best in our greenhouse growing conditions, and most of those do best in the Tropical Greenhouse. Some of the orchids Boyce shows us in the video below are Vandas, which are native to the Philippines and other islands in Southeast Asia. 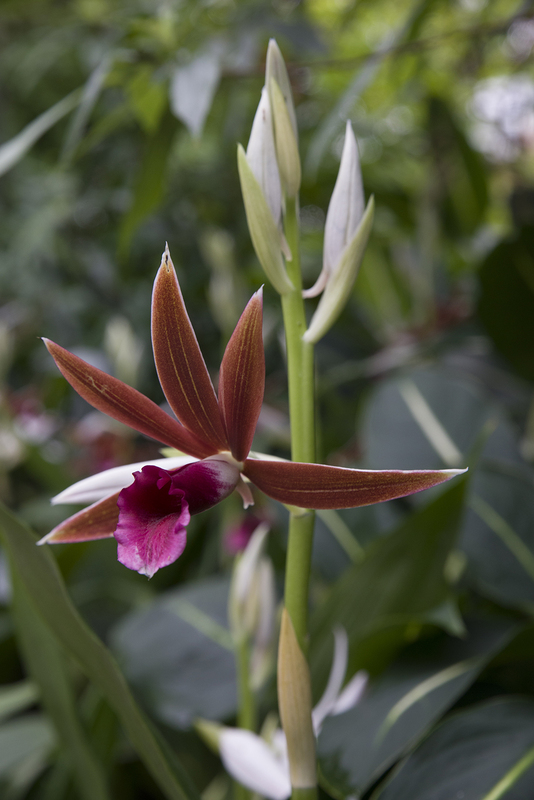 Finally, we examined an interesting ground orchid, Phaius tankervilliae ‘Rabin’s Raven’, which is growing very well in our greenhouse conditions. Click on the video link above or watch on YouTube to get the full tour!